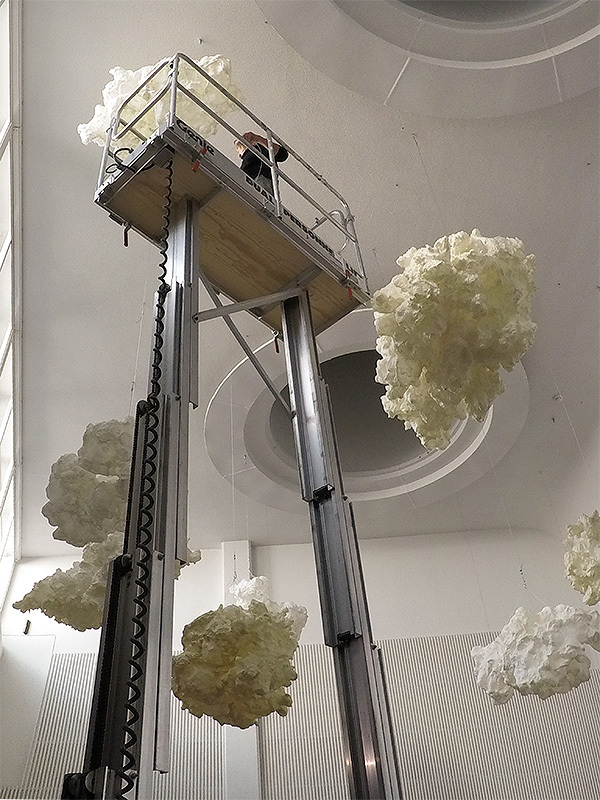 exhibition of ten contem­porary berlin based visual artists and six video artists in hyvinkää art museum, finland. the kolonie wedding is an association of project art spaces in the berlin borough of wedding, founded in 2001 and consisting of 23 project spaces to date. 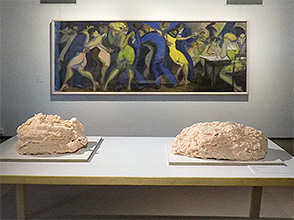 the exhibition in hyvinkää art museum aims at showing a broad variety of berlin contem­porary art. 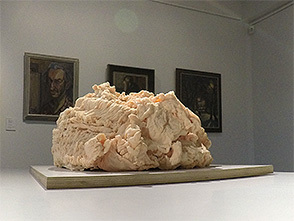 the kolonie wedding can be seen as a kind of paradigm – as an example of berlin’s art scene with its excep­tionally fertile atmosphere and probably unique culture of networks and discourses. 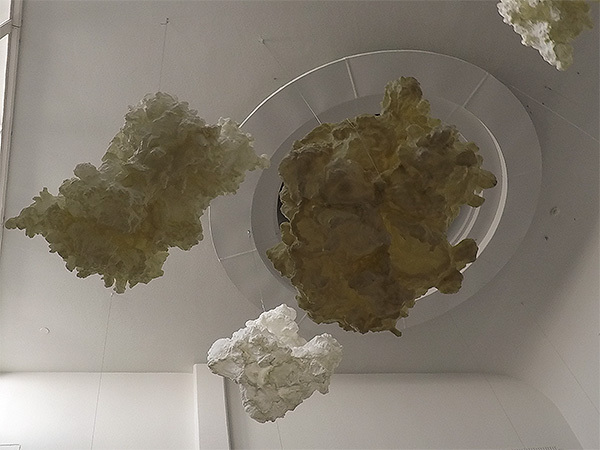 working in object, instal­lation and video, matysik deals in manifold ways with concepts for future landscapes and organisms, like post-evolutionary life forms. he creates an area of conflict between promise and failure in a potential future. both the visual imple­men­tation and their linguistic form can be recognised here as the essential artistic strategies which he uses as his own interface between the worlds of scientific research and pseudo-scientific fiction. 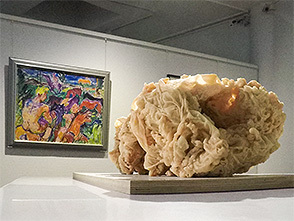 matysik has created more than a hundred organisms as models of plasticine, pvc, epoxy resin, rubber, and silicone, and categorised them by weight, size, gender, form of extre­mities, orien­tation, location, mode of life, etc. 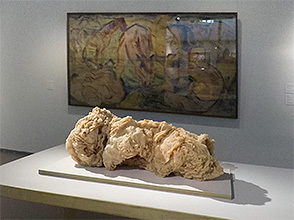 essential parts of matysik’s artistic process include producing prototype models followed by concep­tua­li­sation and textual interpretation. 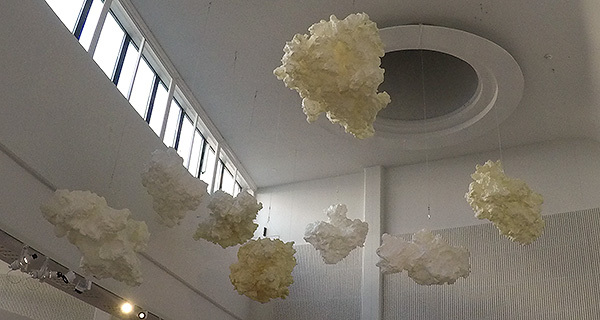 the clouds originally were developed for a work complex called river becomes cloud. matysik, who grew up in the indur­strial west of germany, was invited to build an artwork as part of the conversion and renatu­ration project of one of the rivers, the emscher, in this struc­turally challenged area. the artist designed a machine to transform the water of the emscher at the point where it flows into the rhine – which is a wastewater-free section of the river – into cloud-forming steam. the power needed for the process was regene­ra­tively derived from the river itself. 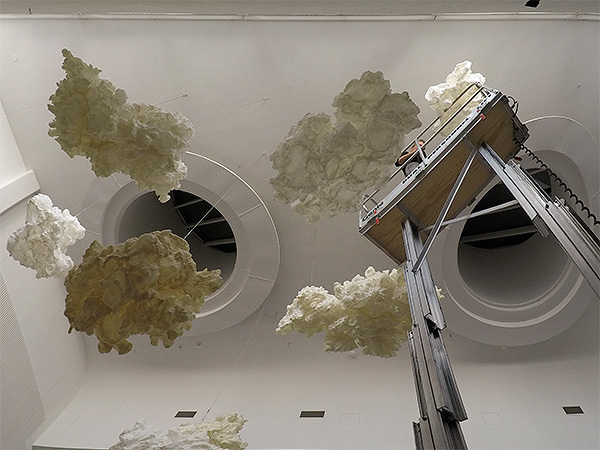 in addition to the ‘cloud machine’, reiner maria matysik installed an accessible, spherical station, where the clouds were displayed. due to matysik’s artwork, the river doesn’t simply cease to exist at this point, but parts of it are trans­formed into sky. the project raises questions on the extent to which renatu­ration or a conversion back to nature is at all possible.